On October 11, Chargé d’Affaires a.i. 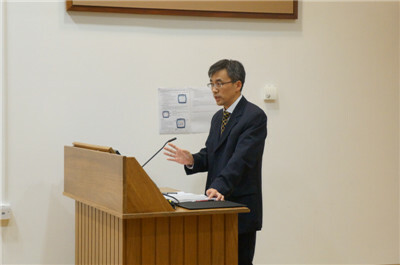 Zhu Qin was invited to deliver a keynote speech entitled An Open China is an Opportunity for the World at Christ Church College, Oxford. 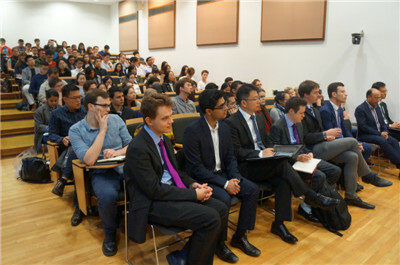 Co-organized by the Oxford Guild and the Oxford Philosophy, Politics and Economics Society, the event was attended by nearly 150 students and faculty members from the University of Oxford. With facts, data and examples, Zhu expounded the questions on the reasons for the success of China’s reform and opening up; what China’s reform and opening up mean to the world; and how China will advance reform and opening up in the new era. He pointed out that China’s reform and opening up has been a great journey. From reforms at home to opening up to the world, China’s reform covers the political, economic and social fields, and has turned a vision into reality. Over the past 40 years of reform and opening up, China has been a major powerhouse for world economic growth and a staunch force for world peace and stability, offered a new option for countries in pursuit of development, and shared the oriental wisdom in the reform of the global governance system. Facts have shown that the development of China is an opportunity for the world, rather than a challenge or a threat. China’s development experience and the overall developing trends of the world have proved that economic globalization is an irreversible trend, and openness and connectivity is the only way to achieve development. It serves the common interests of all countries. Zhu stressed that xenophobia serves nobody’s interest. Unilateralism and protectionism will throw the world economy into the dark ages “ruled by the law of the jungle”. Reform and opening up is a basic national policy of China. China will continue to uphold free trade and the multilateral system firmly, take concrete steps to deepen reform and expand opening up, keep abreast with the times, follow the principle of win-win cooperation, and promote development through inclusive connectivity. On the new journey of reform and opening up, China not only hopes to achieve greater development for itself but also wants to share more benefit with the people of the whole world. Zhu refuted the recent groundless accusations and slanders against China by a US politician. He pointed out that China, committed to achieving national prosperity and happiness of the people, will develop friendly relations with countries on the basis of the Five Principles of Peaceful Coexistence. China has the confidence to achieve development and rejuvenation of the nation “without seeking hegemony”. In China-US relations, cooperation serves the interests of the two sides, and conflict can only hurt both. Cooperation is the only right choice. The countries concerned need to understand China’s path to development and stop making groundless accusations, harming China’s core interests, interfering in China’s domestic affairs, and saying or doing anything detrimental to bilateral relations. 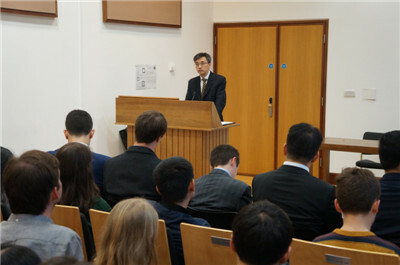 After the speech, Zhu answered questions from the students on China-US relations and trade disputes, China-UK relations, Brexit, the North Korean nuclear issue, the Hong Kong-related issue and the preservation of Chinese cultural heritage. Founded in 1897, the Oxford Guild is the largest university association in Europe with tens of thousands of members. The Oxford Philosophy, Politics and Economics Society, mainly composed of students majored in philosophy, politics, and economics, has significant influence over international relations. The two organizations often invite senior officials of the British government, foreign politicians and celebrities, and foreign diplomats in the UK to speak at the University of Oxford. This was the first major event held by the university for the new academic year in 2018.